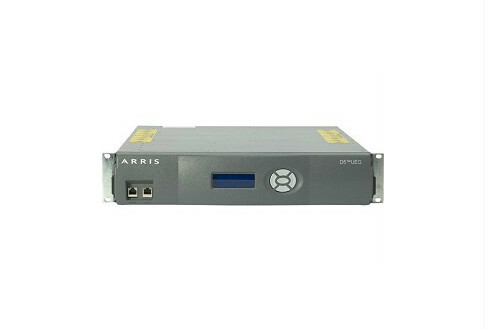 The ARRIS D5 is a leading IP edge network device that provides support for a significant set of multimedia content, all within a cost-effective and modular unit. Each of the D5 EUQs support full QAM-sharing so you can simultaneously deliver multiple digital broadcasts, video on demand content, digital video services and DOCSIS data. Telcos and Cablecos turn to the D5 because it allows operators to wire just once, but still support future applications and convergent services. Worldwide Supply stocks a complete offering of refurbished ARRIS D5 units, so you can have the most robust HFC infrastructure and provide all of the video content your subscribers need. You’ll save up to 80% off traditional OEM pricing, and that means an even greater return, because the ARRIS D5 facilitates subscriber growth when your marketing pushes pay off. All of the used ARRIS D5 units from Worldwide Supply provide these benefits with multiple expansion support and multiple encryption solutions. We’ll help you find the right equipment, or even buy your used ARRIS D5 assets to give you one final revenue push for the network equipment you already have.